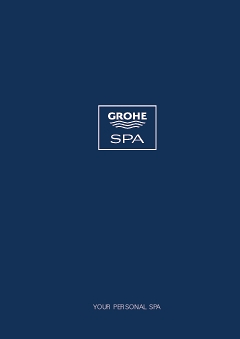 Grohtherm F gives you the freedom to design your spa shower exactly as you please. Featuring GROHE TurboStat® technology, the shower thermostat responds within a fraction of a second to any changes in the incoming water supply. Constantly readjusting the balance of hot and cold water to ensure the temperature you select at the start of your shower remains constant for the duration of your shower. Each member of your family wants something different from their shower. With Grohtherm F custom shower controls no-one needs to compromise. Whether you want to control one, two or multiple shower outlets, the modular range gives you the freedom to create a range of exciting experiences when combined with our award-winning shower head designs. Bespoke showering for maximum enjoyment.